DAMAK, July 22: Farmers of Jhapa are worried as their paddy saplings are drying up due to scorching heat and lack of rainfall. “We transplanted saplings by paying workers high wages as it is very difficult to get daily wage laborers these days. 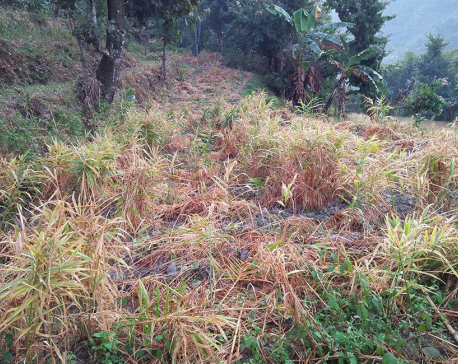 Now, paddy saplings are drying up,” said Krishna Poudel, a farmer from Gauriganj. Saplings are drying up even paddy in paddy fields that have irrigation facilities. Reason: water level in Kankai canal has receded and farmers have not been able to operate lift pumps due to low voltage electricity supply, according to Bahundangi-based farmer Samarpan Khatiwada. “We started transplantation rather late due to shortage of laborers. Now, our saplings are drying due to high temperate and lack of rainfall,” Khatiwada told Republica. Paddy transplantation has been completed on only 70 percent of paddy fields in Shivasatakshi Municipality. Manoj Khulal, chairperson of Ward 6 of Shivasatakshi Municipality, sees paddy production going down this year due to low transplantation rate. “Rainfall was satisfactory till mid-June. After that, however, we are not getting sufficient rainfall. Also, we don’t have smooth power supply to lift water from the Kankai canal,” he added. 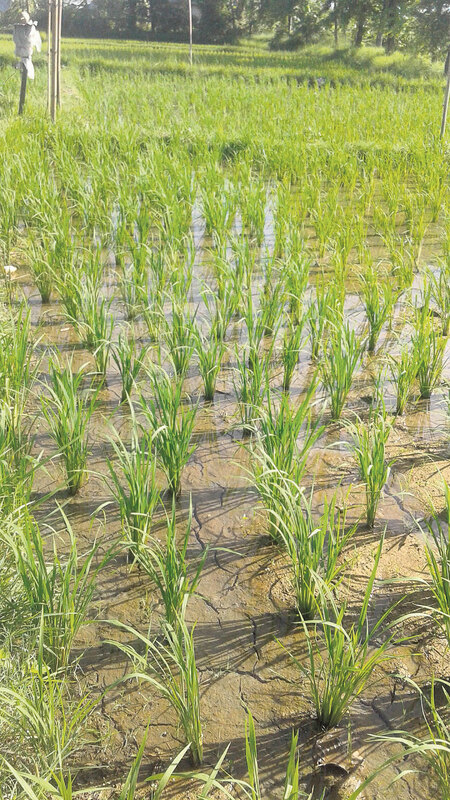 While some villages are yet to begin paddy transplantation due to lack of rainfall, farmers in some village having irrigation facility have not been able to start transplantation due to shortage of laborers. Along with Shivasatakshi and Gauradaha municipalities, Gauriganj, Kamal Kachanwal, Haldibari and some other rural municipalities are pocket area of paddy farming in Jhapa district. Temperature in Jhapa rose to 39 degree Celsius on Friday.